Looking to make a dramatic statement in your home? Wanting to create a lighter or brighter environment? 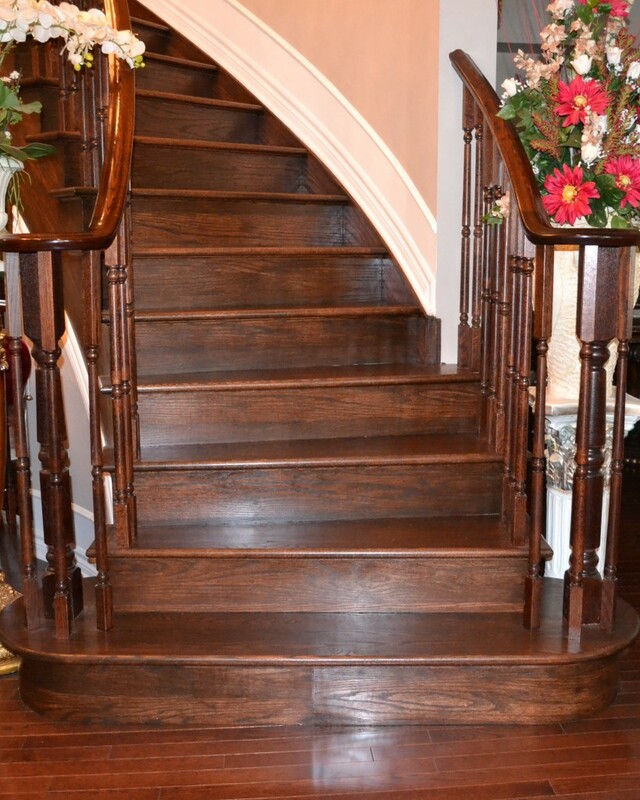 It’s all possible by staining existing or new hardwood floors or stairs in your home as we offer a wide variety of custom stain colours. Various colours of stain can be applied to your existing or new hardwood floors or stairs to enhance the natural wood grain and complement wood furnishings and home décor. Staining hardwood floors and stairs is a cost-effective and environmentally sustainable choice that allows you to retain your existing original floors and change their colour characteristics while avoiding the substantial cost of a completely new installation. Regardless of your decorative taste, we have the expertise to help you realize your creative vision by providing best-in-class hardwood floor staining services. From aiding you in your choice of stain and finish combination to the painstaking, detail-intensive staining process, our years of experience enable us to deliver a finished product that will thrill and inspire you and your guests.